Presently, new disability guidelines are being considered for New York State Workers’ Compensation cases. These guidelines, if approved, will give us new rules on how to determine ones level of disability. The severity of ones disability determines how much an injured worker is entitled to receive on a weekly basis. As for right now, the Workers’ Compensation Board Medical Guidelines from June 1996 are still intact. Under those Guidelines, ones degree of disability is determined by reviewing functional capacity for all forms of employment. This means that the Judge does not simply look at whether or not you do your job; he or she must determine whether you have a disability which prevents you from doing any work whatsoever. In order to be totally disabled or 100% disabled, you must demonstrate that you have no earning capacity in the current labor market. If you are a construction worker and are unable to do that type of work but might be able to do part-time work at a desk or computer then you will not be deemed totally disabled in New York State. Industrial factors can be considered by a Law Judge. This means that your age, education level, and work history may be considered by the Judge in determining what type of work you may be able to do. 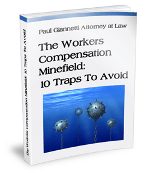 The usual total versus partial disability is extremely contentious in almost all Workers’ Compensation cases. If you have questions about whether you are receiving the proper rate of compensation or might be entitled to a higher rate, please feel free to contact us for a free consultation.